Angela Messina is an actor/producer with newscast, acting and commercial experience. Angela has worked on several television productions including Jimmy Breslin's People (ABC/PBS Emmy Award), Another World and Search for Tomorrow (NBC). She is also a playwright, a children's story writer and a main character actress in Story Theatre Productions. Messina combines performance with the curriculum through a variety of activities including Story Theatre, improvisation, acting and scriptwriting. BA in Communications, MS in Education, Fordham University; Certified teacher, permanent NYS Certification (N-6); fluent in Spanish and Italian. Angela Messina's experience covers a spectrum of activities in Communication Media, Drama and Education. She has worked with all grade levels in Westchester and NYC schools including college and ESL adult learning programs. Through her dramatic activities and projects, she combines performance with the curriculum to help participants master goals and enhance self-esteem. Through Story Theatre, acting, rhyming, scriptwriting, dance, music relaxation exercises and improvisation, feelings and emotions are verbalized to help individuals focus and identify with experiences. In Story Theatre, participants use stories on physical, emotional and intellectual levels and bring them to life through acting, music, physical movements and costumes, demonstrating the importance of identifying their feelings with the characters, leading to sensitivity and respect toward others. 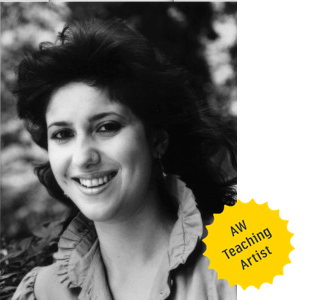 She has taught Story Theatre to 3 year-olds at Union Child Day Care Center in Greenburgh, has worked with seniors at the Skilled Nursing Pavilion at United Hospital Medical Center, and has written and directed numerous productions for the Harvey School Cavalier Camp and Southern Westchester BOCES which were performed at the White Plains Public Library. She is currently working with Southern Westchester BOCES and Westchester Community College as an ESL Instructor, incorporating theater arts to help students learn English language skills. Angela describes her work with people ages 3 to 83+ as a "privilege and a blessing in my life."